Natural antihistamines are a viable alternative treatment for dermatographism or other skin conditions that result in hives or itch. The role of antihistamines is to block the release of histamine or reduce the effects caused by histamine that is produced by the body in response to an allergen. Histamine leads to redness, hives, and itching. Skin problems such as dermatographism are usually treated with over-the-counter or prescription oral antihistamines and sometimes a combination of both. Depending on the extent of the problem, the doses can be quite strong. These antihistamines can be short or long lasting and come in various forms depending on what is being treated. Antihistamines are available as tablets, syrups, inhalers, nasal sprays, and eye drops. In many cases, the use of these antihistamines is required for a long period of time ranging from several weeks to several months. The good news is that over-the-counter or prescription antihistamines tend to be very successful in relieving the symptoms caused by dermatographism and other skin problems that cause hives and itching. The bad news is that many individuals cannot tolerate these products because of the side effects they can produce either immediately or with long-term use. The end result is that people do not take the medication as they should and they continue to suffer from their skin care problem. In addition, women that are pregnant or breast-feeding should consult with a physician before taking antihistamines. In order to avoid the possible side effects caused by non-natural antihistamines, many people search for alternatives. For conditions such as dermatographism, where the use of antihistamines is prolonged (possibly for several months), the option of using a natural antihistamine product as opposed to over-the-counter or prescription medication is a valuable option. One such natural product is noni juice and its benefits for dermatographism and other skin conditions are described at the following link: natural antihistamines - noni juice. However, there are other natural antihistamines as well. A number of different herbs and some vitamins can possibly act as natural antihistamines and may be worth a try. Herbs are generally considered quite safe and cause few or no side effects, but consultation with a physician is always a good idea. Some herbs or other natural products may interfere with other medications being taken or may make certain medical conditions worse. Do not eliminate regular medications without also discussing this with a physician. To deal with your hives or rash problem naturally, we recommend the resources at the following page. One of several natural antihistamines is vitamin c. In addition to being a powerful anti-oxidant and immune booster, some studies have shown that high doses of vitamin c can help reduce sensitivity to allergens and reduce inflammation, mucus production, and wheezing. Researchers at Arizona State University indicated that taking 2000mg of vitamin c per day reduces histamine levels in the blood by up to 40%. In order to act as a natural antihistamine the dose is usually greater than 1000mg per day. Acerola cherry which is a small, bright red, berry-sized fruit that is similar to the common cherry is a fruit that contains very high amounts of vitamin c. The vitamin c content is about 65 times that of an orange and a single cherry provides the minimum daily-recommended vitamin c requirement. Quercitin is a bioflavonoid. 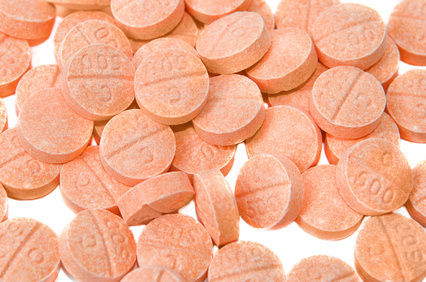 Bioflavonoids are potent nutrients that help maintain the health of collagen in the body. The firmness of the skin is due to collagen and so quercitin plays a role in preventing the anti-aging of skin and more specifically preventing the sagging of skin. Because quercitin and other bioflavonoids aid in improving the health of capillaries, connective tissues, and circulation, they also help treat bruising and varicose veins. Bioflavonoids are powerful antioxidants that also boost immunity and can aid in reducing the risk of heart disease, stroke, cataracts, cancer, help to regulate blood sugar, help in respiratory problems such as asthma, and prevent inflammation. In addition to the above stated benefits, quercitin falls into the natural group of antihistamines that will not cause drowsiness. Quercitin can be very effective in preventing the release of histamine from cells and can be used to treat allergy symptoms such as swollen nasal passages, congestion, sneezing, watery and itchy eyes and nose, and skin conditions such as dermatographism, psoriasis, and eczema. On the other hand, non-natural antihistamines work differently. They do not prevent the release of histamine, but rather they block the action of histamine at receptor sites. Bromelain is an enzyme from pineapples that is an effective natural anti-inflammatory compound. It improves the absorption of quercitin and other bioflavonoids and therefore, natural antihistamine products often contain bromelain as well. Pycnogenol also falls into the bioflavonoid group of natural product antihistamines. Like quercitin, this bioflavonoid will not make you drowsy and is very effective at preventing the release of histamine from mast cells. Some laboratory studies have shown that this natural antihistamine can block up to 70 per cent of histamine released when an individual is exposed to an allergen. There are several other bioflavonoids such as rutin and hesperidin that act as natural antihistamines. 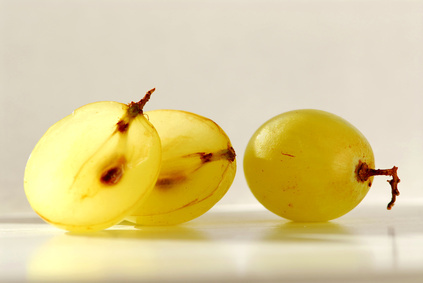 Grape seed extract can be used as a natural product antihistamine. The main active component is its high content of proanthocyanidin (OPC or PCO). Proanthocyanidin is found in red, white, and purple grapes, blueberries, cherries, and plums. The PCO is found mainly in the peels, skins, or seeds. Food processing and storage is detrimental to the amount of active proanthocyanidin available. Butterbur (petasites hybridus) is an herbaceous plant found in Europe and parts of North Africa and Asia. It is a plant with heart shaped leaves that enjoys damp marshy areas and sometimes is referred to as bog rhubarb. Green tea also falls into the group of natural antihistamines. Green tea contains quercitin and catechins, which possess antihistamine properties. Two to three cups of green tea a day is required in order to obtain the antihistamine benefits. Green tea extract supplements are also available. Honeycomb can be used as a natural product to combat hives. The active component in honeycomb that possesses mild antihistamine properties is propolis. Antihistamines that are natural may also include certain minerals. For example, magnesium is one such mineral. Dosage as a supplement is typically in the 400 - 800mg per day range. Certain foods are also good sources of magnesium - plants, grains, meat, and fish. More specifically the top magnesium containing foods are: pumpkin and squash seed kernels, Brazil nuts, bran cereal, halibut, quinoa, spinach, and almonds. L-Histadine is an essential amino acid in the body that can prevent excessive histamine production. One or two 500mg capsules three times daily are usually required.